Presented by UGA Theatre: A darkly comic coming-of-age tale detailing an Asian-American teen’s struggles with identity, her agoraphobic mother, and a rash of local murders targeting blonde girls. By Julia Cho. Director: Farley Richmond. 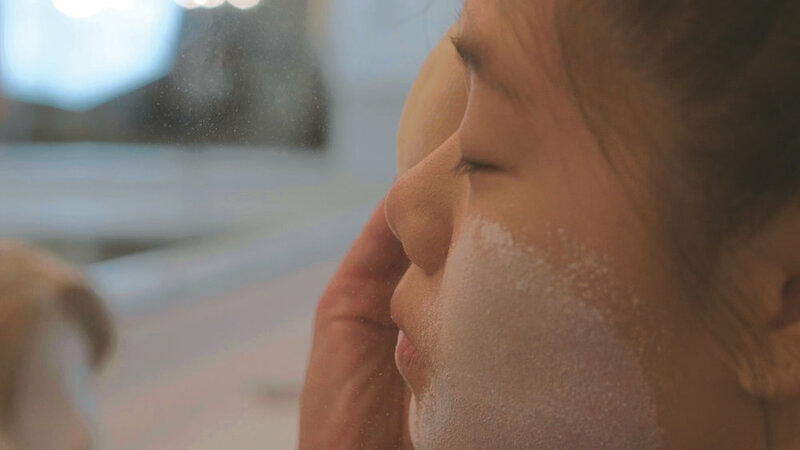 The story focuses on Panny, a 14-year-old Korean American girl who considers her Asianness ugly. Panny’s family members include her beauty-obsessed mother Isabel and Panny’s lonely-hearted uncle Lefty. Isabel is agoraphobic and watches television all the time. Lefty, whose only pleasure comes from his Dungeons and Dragons miniatures, has dutifully sacrificed his life to take care of his sister and niece but longs for more. At the center of the family, Panny directly expresses through monologues her isolation, loneliness, and unhappiness on her journey to self-awareness. All the while, a series of local murders haunts the atmosphere of their small Arizona town. In BFE, several of the themes that Cho explores throughout many of her works are intertwined: Koreanness, family obligations, the pressures of assimilation that can lead to isolation and a loss of identity, and the “otherness” of being viewed (and viewing oneself) as different. Cho is not one to shy away from difficult issues pertaining to race, gender, sexuality, ethnicity, intergenerational and intercultural conflicts, and in fact, her art of playwriting is precisely in bringing these issues to light. By doing so, Cho leads her audience to complex worlds where emotionally injured people confront each other and confront themselves, yet always try to find some type of reconciliation on their journey toward a sense of belonging that seems to constantly elude them. Cho stated: “I believe plays are journeys, and they should take you somewhere you’ve never been—whether it’s a new thought, a new place or a new way to look at something familiar.” UGA Theatre’s production of BFE will bring you to a place that is out of nowhere but find a new way for you to see something familiar.